Mr. Theo Vernon, Band Director, and Mr. Brent Harris, Associate Band Director, bring to our band program the dedicated effort and outstanding leadership that have characterized our directors since Grissom High School opened in 1969. With a band enrollment that averages 200-250 students, the program includes the two marching bands, two symphonic bands, a concert band, two jazz ensembles, and several chamber ensembles. The Instrumental Music Department at Grissom strives to maintain a balanced program in all facets of music education, including the development of the individual musician. 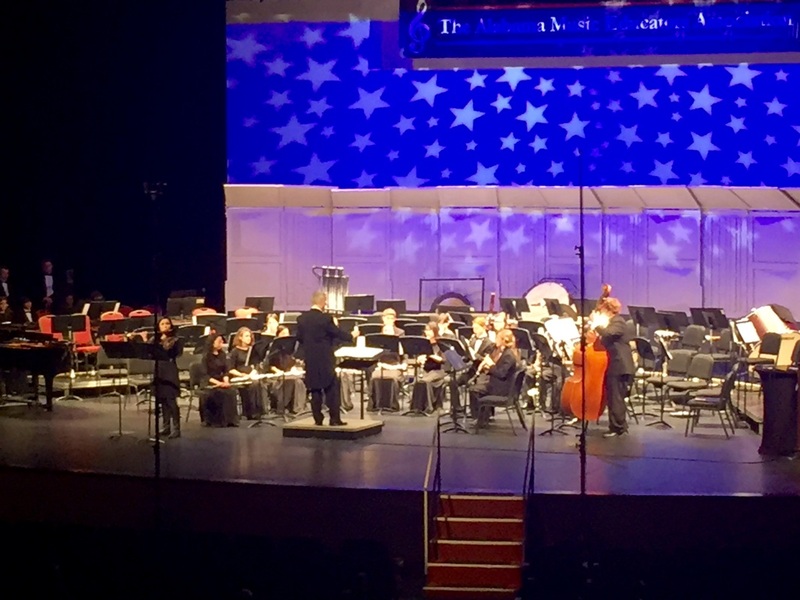 Over the years, the Grissom Band program has consistently produced excellent musicians who are in demand by colleges and universities throughout the Southeast and many parts of the country. Grissom students receive placement in one of the Alabama All-State Bands each year. Awards and recognitions have come often to the Band as a whole, too. Since its inception in 1969, the Symphonic Band 1 has never received less than a superior rating in any adjudication. They have been invited to perform at music educators' and conductors' conferences. The Symphonic Band 2 has rarely received less that a superior rating in any adjudication and the Concert Band has never received less than an excellent rating. 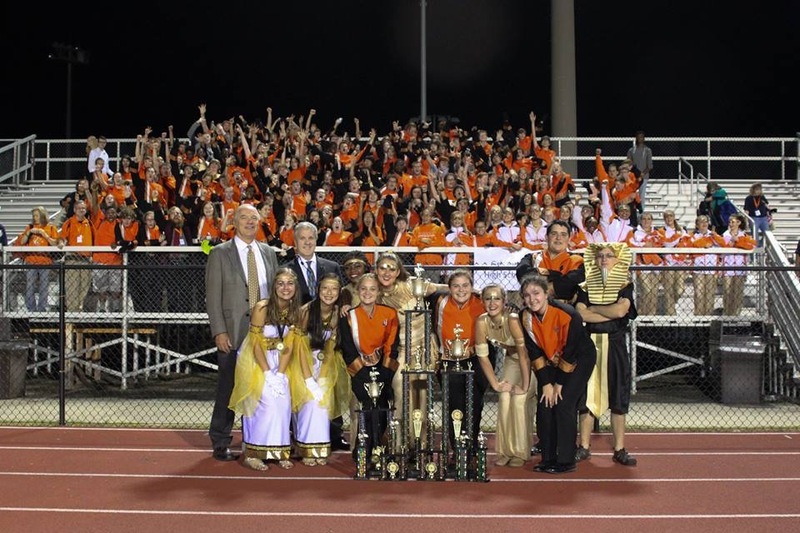 The Marching Band has won numerous titles in contests and festivals throughout the Southeast and has never received less than a superior rating. The tradition of excellence held by the Grissom High School Band program developed through the hard work and dedication of past members and directors Mr. Dave Ward, Mr. James Sparks, Mr. Ronald Rich, and Mr. Bill Connell is continued now through the hard work and dedication of our current directors and students. Any alumni out there want to help create 1969-1984 awards and recognitions please email Mr. Vernon and he will get that information added. Pictures and any information will be great. Thank you! Congratulations to Isaac Cargile - Trombone in the top Gold Jazz Band! Results: Band placed 2nd in the largest class and won the best spirit award out of 7 bands. Results: All superior ratings in every category! Results: All superior ratings in all categories. Drum Major, Color Guard, Percussion and Band. ​Received the highest overall score for musical performance! ​Overall Highest Score of the day - Symphonic Band 1! Concert Band - ALL Superior Ratings! Symphonic Band 2 - ALL Superior Ratings! Symphony Band 1 - ALL Superior Ratings! 70 members of the marchign band traveled to Hawaii to participate in the 75th Anniversary of the bombing of Pearl Harbor. 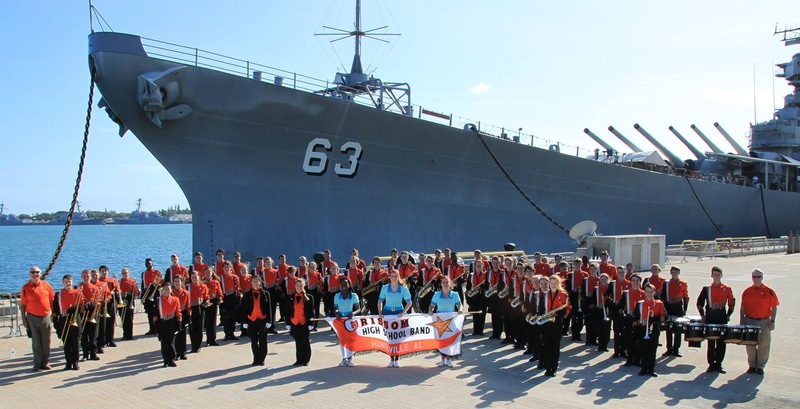 They marched in a parade honoring Pearl Harbor survivors and performed at the Arizona Memorial and the U.S.S. Missouri. While at the Arizona Memorial we placed a wreath and saluted those who sacrificed for our freedoms. It was a very touching moment that we will all never forget. 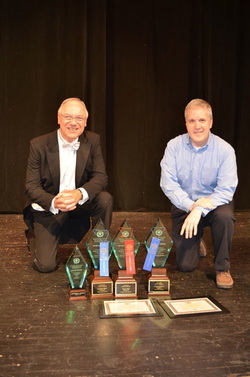 ​Superior ratings in all categories! Drum Major, Color Guard, Percussion, and Band. Placed 3rd in Diamond class and 3rd highest score overall out of 34 bands!! Grissom also had the 2nd highest "raw" score by 1.65pts. In Olympic judging they drop the highest and lowest scores of the 5 adjudicators. Thus the reason for the 3rd place overall. Congratulations to the following students selected for the 2016 UAH Invitational Honor Band. 2016 Kudzu Klassic In Russellville Contest results. Congratulations!!!! Tim Bowling Most Entertaining Award!! ​Congratulations to the Symphonic Bands 1 and 2 for being invited to perform at the inaugural UAB Concert Band Invitational Festival. The bands performed extremely well and received very positive comments from the renowned music educators. Congratulations for all Superior Ratings at the District 1 Music Performance Assessment at James Clemens High School! Congratulations to Wyatt Detrick for being a finalist in the Super Solo Competition at 2016 All-State Band Festival. He placed 7th out of over 90 students. 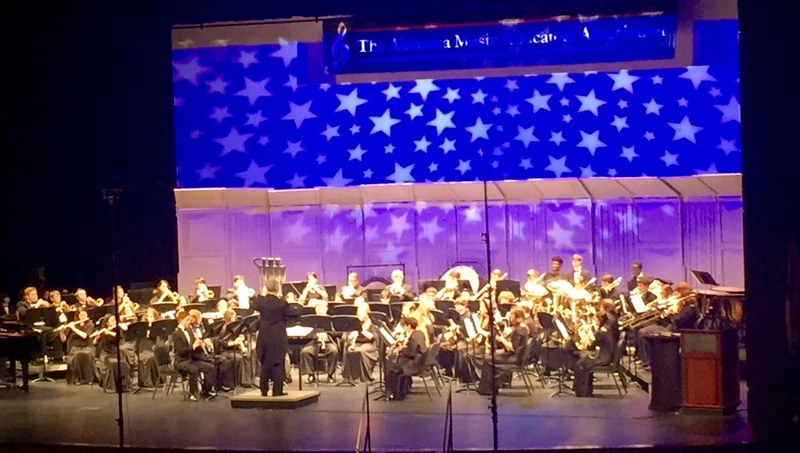 Grissom's Symphonic Band 2 performs at the 2016 Alabama Music Educators Conference in Montgomery, Alabama. Rosa Richardson, flute soloist, with Symphonic Band 2 at AMEA. Congratulations to the 2016 All-State Jazz Band Members! 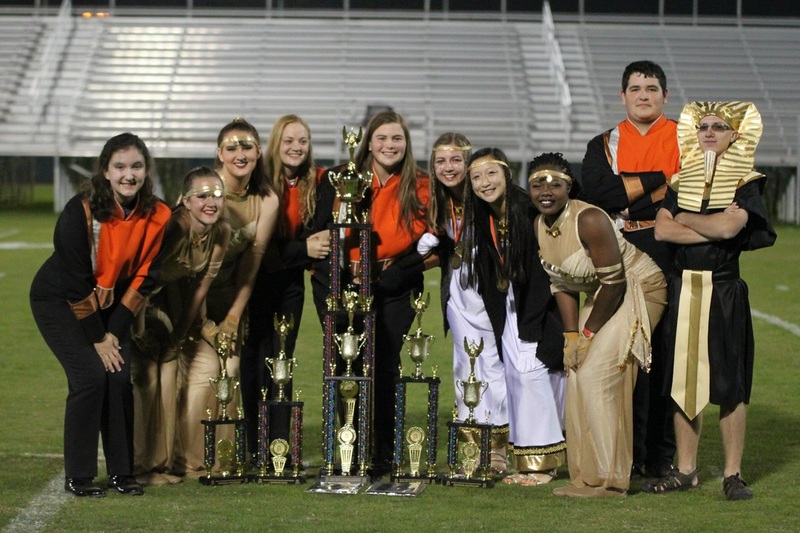 All superior ratings in all categories: Band, Drum Majors, Color Guard and Percussion. Best in Class 4A Band, Drum Majors, and Color Guard and Overall Grand Champion! Percussion had the 2nd highest score of the day! ​Best in Class 4A Band, Drum Majors and Color Guard! Mellophone soloist award and Piccolo section award! Marching Band invited to perform in the nationally televised 2014 Hollywood Christmas Parade in Hollywood, California. 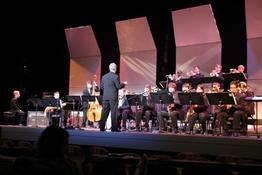 The “A” Jazz Band selected as one of twelve bands from across the U.S. to compete in Savannah. GA.
“B” Jazz Band received all superior ratings. Congratulations to Chris Healy for making the bass trombone spot in the All-State Gold Jazz Band!! The tradition continues! 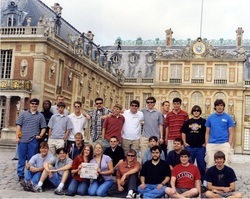 The marching band received many accolades at their competitions. 1st in Division Drum Major / Guard / Percussion and Band. 2nd overall Band out of 20 bands! Percussion - 97 - highest score of the day out of 20 bands!! Grissom mellophone soloist Madeline Jory! Best in class AAAA Band out of 8 bands that received all superiors. Tough competition! Highest scoring band of the day out of 22 bands!! 95.5!! Congratulations to the following students for being selected as a member of the 2013 UAH Honor Band! Congratulations to senior trombonist Nathan Franklin for being selected to participate in the Macy*s All American Marching Band marching in the Macy*s Thanksgiving Day Parade in New York City! “A” Jazz Band selected as one of 12 bands to compete in the Swing Central Jazz Band Competition in Savannah, Georgia. Symphonic Band 1 awarded the Grand Champion at the Dixie Classic Grand National Adjudicators Invitational competition in Chattanooga, Tennessee. Symphonic Band 2 - All superior ratings. Concert Band - Overall excellent rating. Band selected to March in the Hawaii Waikiki Thanksgiving Day Parade and Performances at the Pearl Harbor Memorial. “A” Jazz Band selected to perform at the North Sea Jazz Festival in the Netherlands. 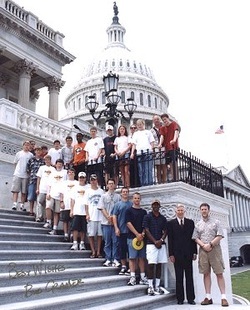 “A” Jazz Band selected to perform at the Kennedy Center in Washington D.C. 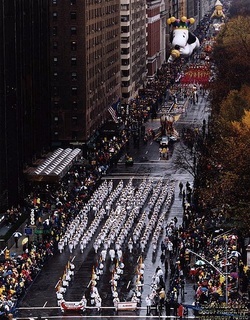 Marched in the Macy*s Thanksgiving Day Parade as the lead band! 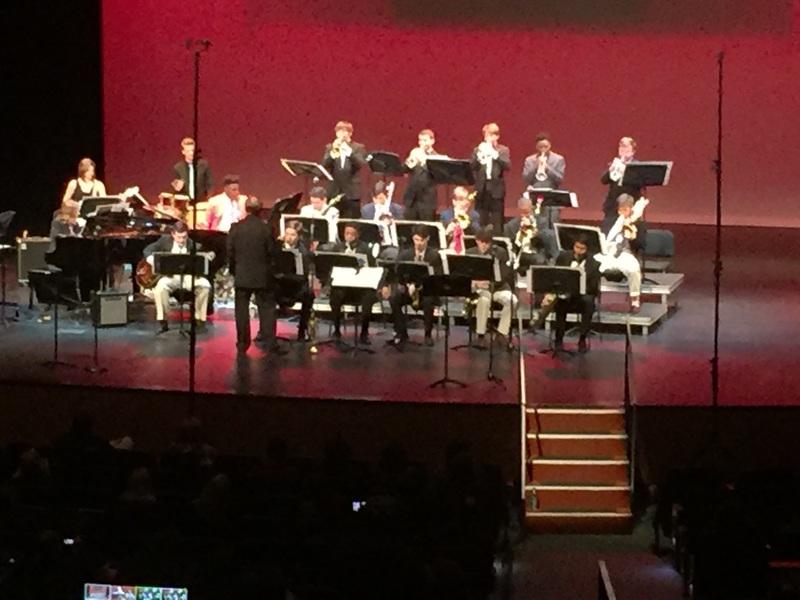 “A” Jazz Band selected as one of 20 bands to compete in the Essentially Ellington Jazz Band Festival in New York City. Jazz bands selected to perform in Austria for their Millennium Celebrations. 1st place in the University of Alabama Marching Festival. Symphonic Band 1 selected to perform at the International MidWest Band and Orchestra Clinic in Chicago, IL.